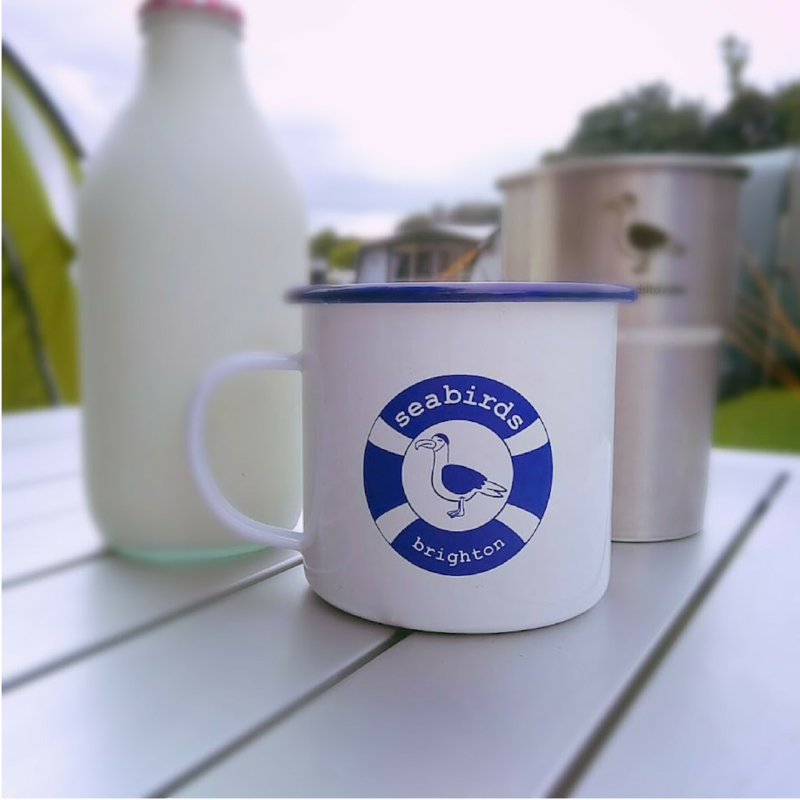 Unbreakable and Reusable - your pint for life! Made in the UK from recycled stainless steel. 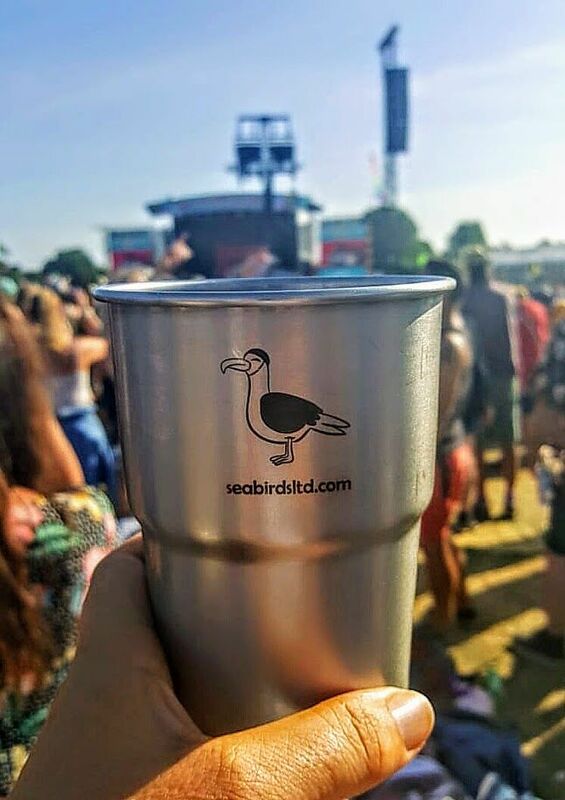 Take your own pint to events and festivals and avoid single use plastic. Made to last a lifetime - lightweight at 115g. 568ml/UK pint size. Oversized to ensure a full pint. Keeps drinks cool for longer. 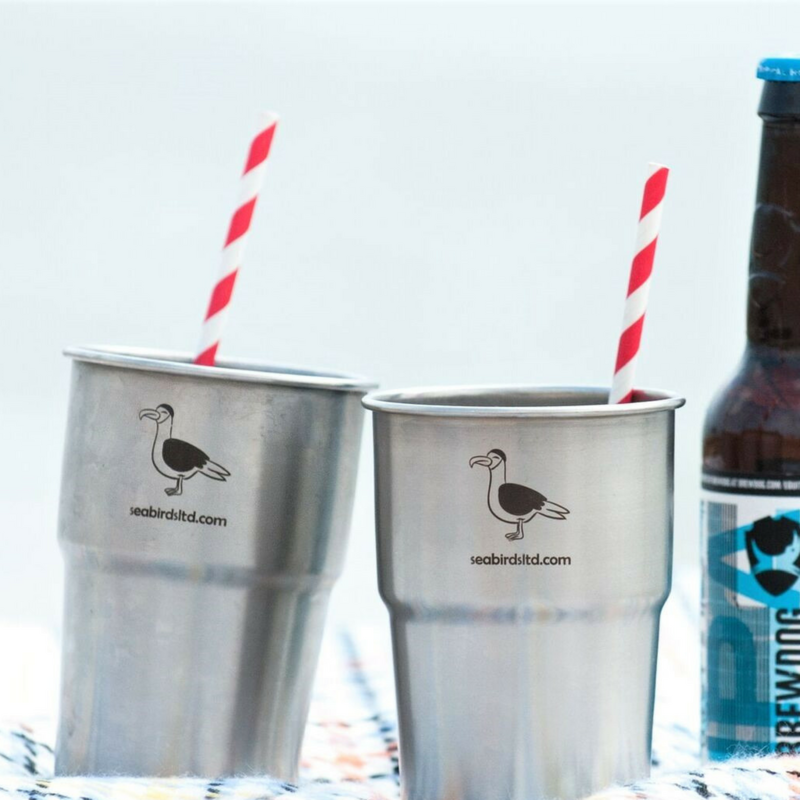 Tastes great to drink from - beer, smoothie and water approved by our in-house critics. It has a textured inner base for nucleation for head retention (your beer gets and keeps its head when poured). Egonomic design is great to hold. The rolled lip makes it strong and comfortable to drink from. 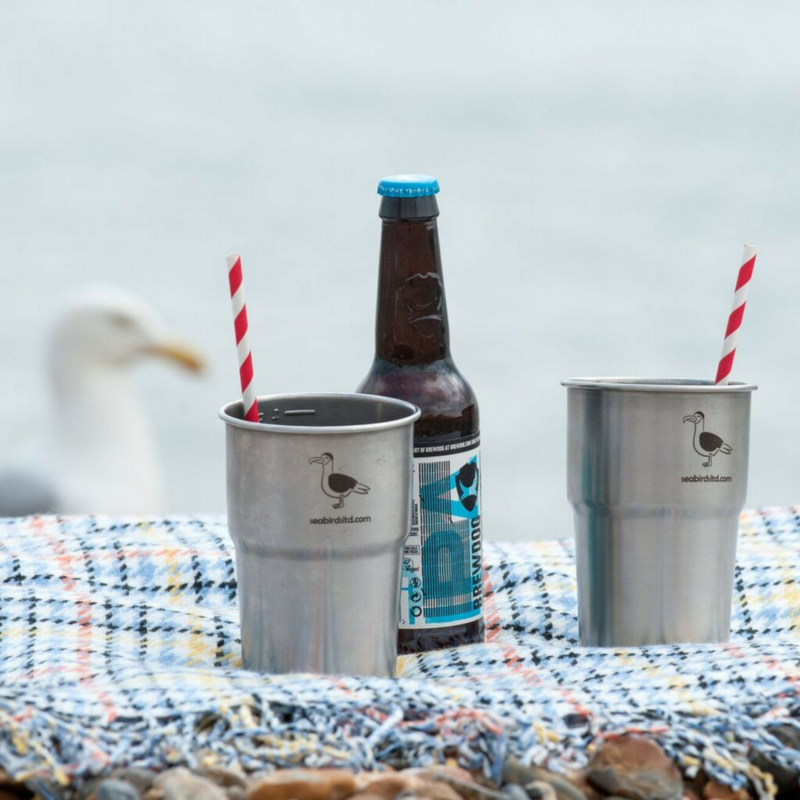 Buying this resuable, durable and sustainable alternative to single use plastic from Seabirds will help reduce marine pollution. It is a plastic pollution solution and a step towards zero waste and plastic free communities. 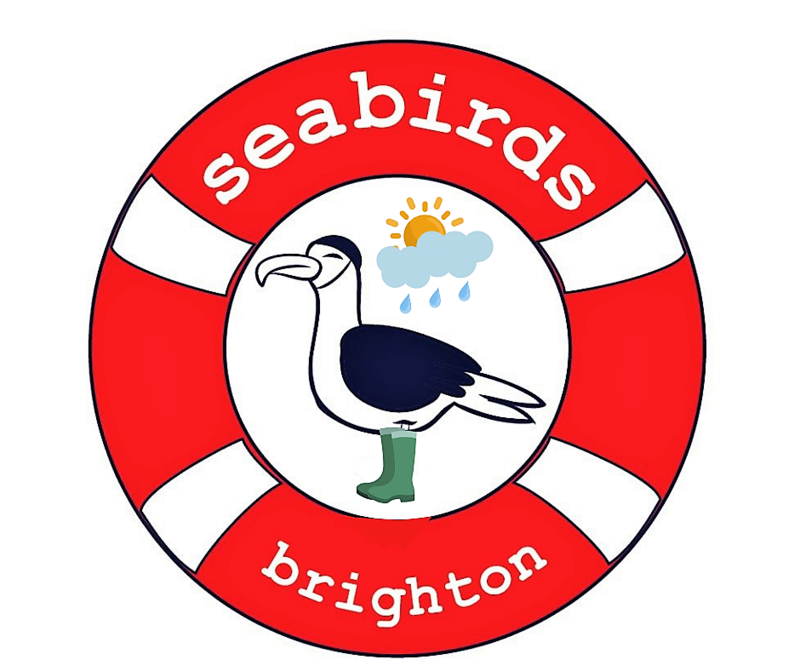 In addition each purchase will support a local charity that promotes sea swimming and targets mental health problems by taking people into the sea. Salted well being from Brighton. I love my steel pint. 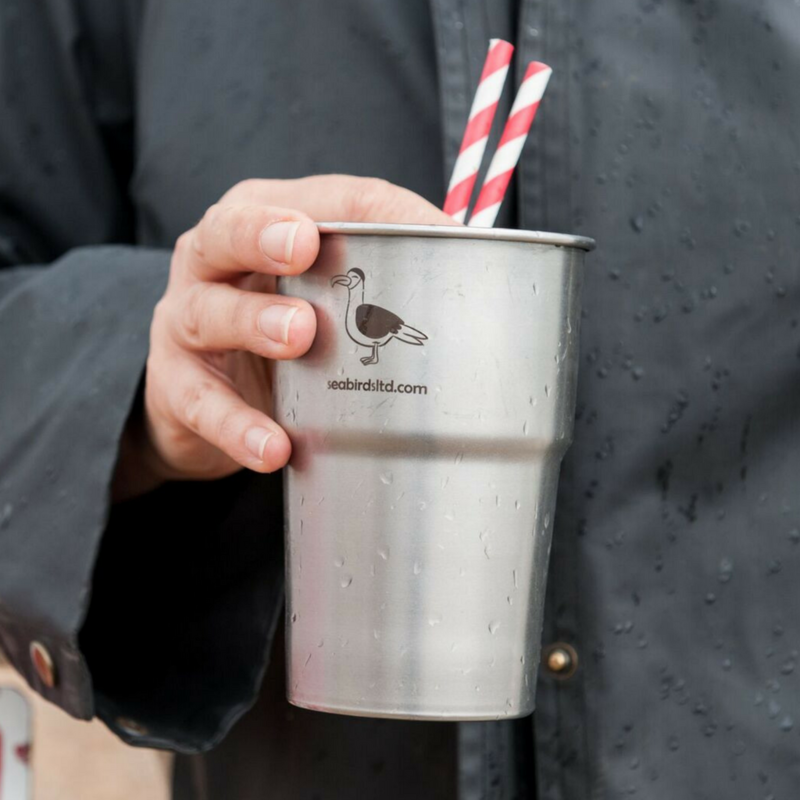 Keeps drinks cold and tasty - brilliant for camping and festivals. Less plastic waste!